Recently, scientific studies have shown that smokers who switch to vaping or e-cigarette devices tend to be at a lower risk of smoking-related conditions such as heart disease or lung cancer than those who smoked both electronic cigarettes and traditional cigarettes, or those who continued smoking as normal. Switching to vaping has long been a popular form of nicotine replacement therapy for smokers; it provides a convenient, familiar method of smoking whilst avoiding the harmful toxins found in traditional cigarettes such as tar and carbon monoxide. If you are considering switching to vaping as a method of giving up cigarettes for good, here are some top tips to help you make the right choices. 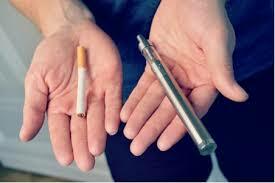 Before you can switch to vaping, you must have your own e-cigarette or vaporizer device. For those just starting out, you might want to consider beginning with a set such as the Evod starter kit, which provides vaping newcomers with everything that they need to get the best start including a battery, atomizer, and a charging cable. In general, most new vapers will begin with a starter kit such as this, before upgrading to a larger style of e-cigarette, such as a box mod vape, if needed. E-liquid tends to be made of three main ingredients; vegetable glycerin, propylene glycol, and nicotine, along with various flavorings. One of the best parts of switching to vaping from smoking is the wide range of flavors available; no longer will you be limited to simply smoking plain tobacco! Whether you’re into fruity flavors, creamy tastes such as milkshakes or cheesecakes, or even if you want to try vaping something more weird and wonderful, there’s sure to be something available for you. On the other hand, if you decide that you prefer the taste of standard tobacco, you can find a range of tobacco-flavored e-juices, too. Since it was introduced just a few years ago, vaping has gone from strength to strength, significantly increasing in popularity to become one of the most popular methods of nicotine replacement for giving up smoking. When using vaping as a quitting aid, one of the best ways in which to do this is to gradually reduce the nicotine content in your e-liquid. Remember that a higher concentration of nicotine in your e-liquid is not always a good idea, even if you were previously a heavy smoker. This is because when vaping, you’re more likely to inhale more than you would with cigarettes, which can lead to symptoms of nicotine overdose. So, if you vape a lot, a lower concentration of nicotine is usually the best option. Successfully switching from smoking cigarettes to vaping often requires you to find out what works best for you. For example, whilst some vapers prefer smaller pen-style models or even starter kits, others want to get more technical, combining larger batteries, box mods and atomizers to provide a better vaping experience. Bear in mind that mechanical mods, for example, could be confusing for a vaping beginner. So, be sure to make a choice depending on your level of experience, too. Additionally, don’t be too bothered about appearance – devices that look like cigarettes may be great to start off with, but they are not always suitable for a long-term switch. Even with the added benefit of the nicotine found in e-liquid for vaping, it can be difficult to make the switch and get used to the different tastes and experiences. So, it’s important to ensure that you approach the switch in a similar way to how you would approach quitting smoking in general. Social support is often necessary for successfully quitting smoking; it allows smokers to meet people who can offer shared experiences, support and advice. Whether you join a designated support group or seek advice from a friend or family member in a similar situation, this will help you to make an easier switch to vaping. Lastly, when switching from smoking cigarettes to vaping, it’s important to make sure that you select products from a reputable, helpful and high-quality manufacturer or supplier. Ideally, you will want to visit a supplier who has a lot of experience in helping smokers choose their first vape for making the switch. A good supplier will be able to consider your personal needs, requirements and wishes to find the perfect vaporizer device for you. Have you successfully switched from smoking to vaping? Let us know in the comments. For decades and decades your feet have taken a beating - carrying you over a hundred thousand miles in your lifetime, literally! As we age, a few things can happen that affect foot health including losing feeling in the feet, developing an illness that affects blood circulation to the feet (like diabetes), or incurring an injury or ailment the requires treatment and recovery. 1 out of 3 seniors will experience a fall, and falls can lead to serious injury including fractured hips, lacerations, broken bones, and bruising. Footwear is a crucial factor in preventing falls in the home and other places because it provides stability and support when walking or standing. Open-toed shoes that can catch corners of rugs or items on the floor are a recipe for disaster, while closed-toe shoes that are too large and let your foot slip out easily are just as bad. Shoes with larger than a 1-inch heel can also affect balance and coordination, and lead to a fall. Proper fitting shoes should be snug but not too small, hug the heel, provide good arch support, have decent heel cushioning and ankle padding, and be flexible to allow for bending while walking. Foot pain is an increasingly common complaint of older adults with 87% of seniors reporting experiencing at least one foot problem. Foot ailments can include bunions, hammertoes, corns, calluses, heel pain, arthritic affliction, athlete’s foot, and discolored or ingrown toenails. Increased pressure or irritation from any or all of these ailments can be extremely painful, while others can lead to infection if not treated. Appropriate footwear that does not rub and cause sores or blisters on any part of the foot is super important. Custom orthotics or inserts like plantar fasciitis insoles can take footwear to the next level too by providing added support and pain relief which addresses muscle strain and improper gait. Well-fitting walking shoes can empower regular exercise which is vital to senior health, aiding in preventing hypertension, fighting osteoporosis and heart disease, as well as combating bone loss, dementia, and Alzheimer’s. Depending on your stride, gait, weight, and level of activity (i.e. are you taking brisk walks on a flat road or hiking), the type of walking shoe you need will vary. So how you do find a great shoe that is going to support you and keep you mobile for years to come? If experiencing a problematic foot issue, visit your doctor or a podiatrist first to seek treatment and discuss footwear needs, i.e. if you experience over pronation (or an exaggerated inward rolling of the feet when you walk), you will need to look for motion control shoes. On your own, you can do a simple “wet test” to check out what your arch or lack thereof is. Step out from a shallow pool of water (say, in your tub) onto a towel or piece of paper to make a visible footprint. If your footprint is flat, you are lacking an arch (over pronation), if it is crescent shaped, you have an arch (neutral), and if there is barely a crescent shape, you have a high arch (supination). Remaining mobile and staying active as you age is dependent on a combination of factors and actions you take in life. Proper footwear plays such an important role - make sure you have the right shoes for your feet, and happy walking! If you have owned your mattress for several years, chances are it has seen better days. If this is the case, you should not put off buying a new one. Many people pay close attention to replacing their bedding regularly but are less inclined to do the same with their mattress. This is not a good idea as a new mattress does not just help you sleep better; it can also be beneficial to your health. Let’s examine five ways in which your health can benefit from the purchase of a new mattress. Hopefully, we can help you see why your mattress should be one of the priorities in your life. One of the biggest advantages of having a new mattress is that you can reduce issues with allergies you may have to pests such as dust mites. Even if you replace bedding over the years there is still a good chance that this type of pest could become a problem as your mattress gets older. This type of problem is often of particular concern to people who already suffer with health problems such as asthma. Your immune system benefits from you getting enough sleep each day. If your mattress needs to be replaced it can prevent you from sleeping as you should. This can reduce the effectiveness of your immune system and lead to you becoming ill more often. You may not realize it but your memory sets as you sleep. This means that anything you have learned that day is consolidated. If your mattress causes you to have disturbed sleep this can have an adverse effect on your memory. If you have ever driven a car after not having enough sleep you know that the situation is not ideal. The fact is that not getting enough sleep can seriously deplete your attention abilities. As you can imagine, when it comes to driving, or actions such as operating machinery, not being able to concentrate can be dangerous. 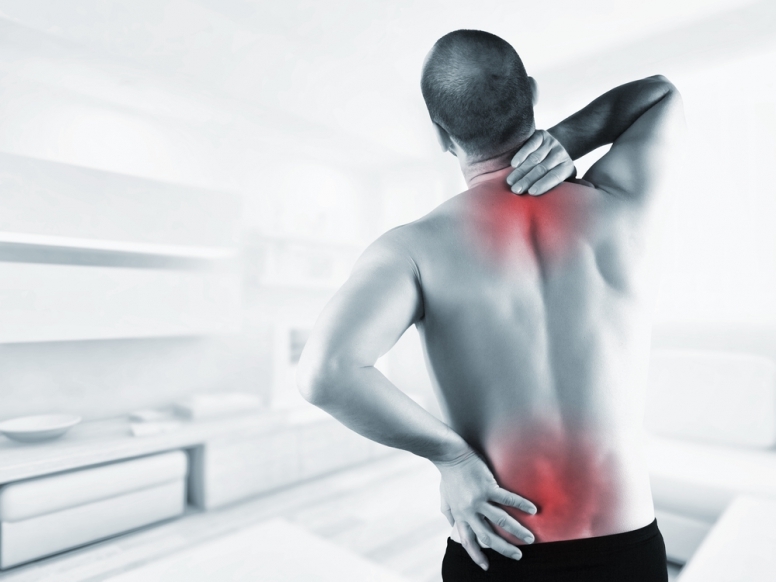 Chronic back pain is something many people suffer with. Having a supportive mattress is essential if you want to relieve back pain as much as possible, to enable you to sleep. If you sleep on an old mattress you risk making your back problems worse. You can see how buying a new mattress can be important to your health. The good news is that you do not even have to leave your home to make the purchase. If you search for online mattress firms, you can buy a mattress online and have it delivered to your home. Retailers that sell their own brand of mattress solely online will often allow you to test a mattress at home before you buy. This means you get the benefit of affordable online prices while also being able to see if the mattress is suitable before you finalize your purchase. This is a blog post by Frank Apodaca. Relaxation is an incredibly important part of our daily lives, and we all need to ensure that our bodies get a regular dose of rest to make sure that they recuperate. But just because our bodies are relaxed doesn’t mean that our minds have to stagnate, as there is plenty that we can do to give our grey matter a boost even whilst we’re taking it easy. We’ve already featured a few simple ways that you can improve your mental health. And so if meditation isn’t for you, here are some other ways that you can supercharge your brain in your spare time. Learning a new skill is a great way to strengthen the connections between different parts of the brain. Whether you’re taking up a new hobby like quilting, or even something like photography, complex tasks can improve our memories and also help stave off a number of mentally debilitating illnesses. It’s learning a second language that can really pay dividends in boosting the actual size of our brains. And with something as simple as learning French on a handy app like Duolingo giving us an easy way to boost our brainpower, it shows that even if our bodies are stationary, our brains can be getting a good workout! Brain games are not only fun, but they can also boost our short-term memories too. There are plenty of scientifically developed titles like Lumosity out there that can provide a pocket-sized way to expand the power of your minds. Thankfully, for something more fun, there are many great puzzle games like Dots that can also do a good job in keeping your brain active. As well, poker and blackjack, that can be practiced online on sites such as MrSmithCasino, are giving us chance to improve our long-term strategy skills. We can all get some good brain exercise no matter where we are! And regardless of whether you’re playing online blackjack, or learning a new language, it’s become evident that socializing has a massive benefit for our mental faculties. This is because interacting with others helps to stave off depression and increases our feelings of well-being. People who regularly connect with others also have been shown to have a better aptitude for problem-solving and perform better in memory tests. So by learning new things, playing challenging games, and even just having a chat we can all improve our brainpower in our spare time! This is a blog post by Diego Martin. Experiencing difficulty walking? Is standing for longer than 10 minutes at a time uncomfortable or painful? Rather than resigning oneself to spend most of the day sitting or lying down, taking advantage of a mobility aid could be your key to staying active. Mobility aids are simply assistive devices or equipment, like canes, walkers and knee scooters, that aid you in getting around by supporting your weight and easing your ability to maneuver multiple environments. Spending any significant amount of time off your feet is actually one of the worst things you can do as you age, leading to weight gain, muscle inflammation and pain, and heart disease, among other things. Talk with your doctor or healthcare provider about your trouble walking or frequent falling, and ask if a mobility aid is right for you. Oftentimes insurance will cover them with a doctor’s order, or you can buy gently used ones or lease them, like with knee scooter rentals. Physical activity seems almost antithetical as adults age. Won’t exercising cause injuries that will be harder to heal from? Isn’t exerting myself worse for my older heart and organs? The honest answer: absolutely not. Exercising is actually more important as you age than it was when you were younger. Why? The health benefits (including maintaining mobility) of routine fitness are even more powerful in retirement because they far outweigh the risks of not exercising. Exercise strengthens muscles as older bodies start to lose muscle mass, it can reverse bone loss which causes osteoporosis, and it helps older adults maintain a healthy weight and heart function as metabolism slows and risks for heart disease and obesity go up. Engaging, low-impact exercise practices like swimming, yoga, ballroom dancing, playing tennis, brisk walks, and light weightlifting are a great place to start. In addition to physically benefiting your bones and muscles, regular exercise helps lower blood pressure, reduces joint and muscle inflammation, powers healthy sleep, and boosts overall mood. How can brain stimulation and task-based activity help with your mobility? Your balance, coordination, and memory are crucial components to getting around safely and with ease. Hobbies and games that employ fine motor skills (like quilting, crocheting and Chess) help older adults retain hand eye coordination skills that enable stronger movement and reach as you age. 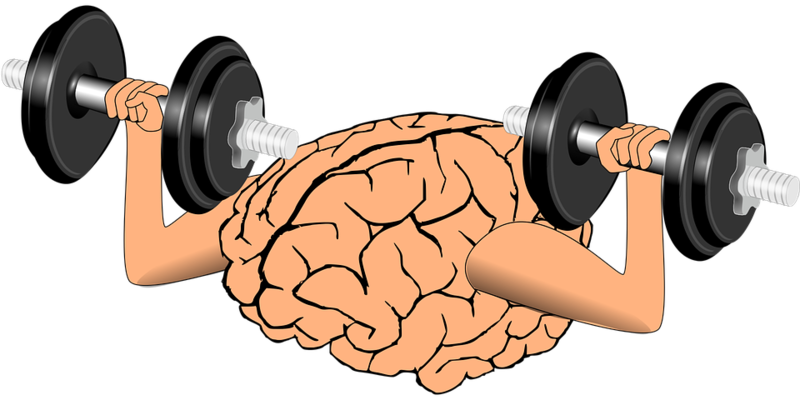 In addition, mental exercises that stimulate brain function and energize neural pathway connections can help combat dementia and Alzheimer’s - memory loss diseases that can negatively affect day to day function and mobility. Staying mobile in your Golden Years isn’t a matter of crossing your fingers and wishing for the best. Act now and take the simple but effective steps towards retaining your mobility through exercise, fall prevention, and the use of aids and support - in ten years, you’ll be glad you did! Over the past few years, cosmetic surgery has come a long way. Modern technological advances are now making it possible to iron out even the minutest of imperfections. In the coming months, it is likely that we will witness a complete revolution in the industry – lending new opportunities to anyone looking to improve their bodies. As the year progresses, it is likely that plastic surgery will be in a class of its own. According to a Persistence Market Research Report, Europe and America will dominate the international plastic surgery scene due to the growing population of geriatrics. Going by Dr Joseph Ajaka reviews, industry players expect Australia to join these continents as more people in the region start undergoing various procedures to firm up the skin and look younger. The Trans question is now fully in the limelight. With celebrities such as Caitlin Jenner capturing global attention, more individuals will continue transitioning publicly. As such, cosmetic surgeons predict that the industry will reach a tipping point in 2017 – and have a spillover effect into cosmetic surgery. Jeffrey Spiegel, MD says that cosmetics now have experience feminizing masculine faces. He also mentions that this experience has increased global understanding among medics about what it takes to make women look beautiful. According to him, new tweaks will come up to help cosmetic surgeons learn how to improve the attractiveness of the transgendered and those unhappy about their looks. 2017 is also braced to be the year of designer filler. What with the advent of plump pouts and sweet cheeks, it is likely that doctors will come up with new and innovative ways to fill up specific areas of the skin and face. Some of the procedures that have emerged in this field include Restylane Lyft and Juvederm Volbella for the lips as well as Juvederm Voluma for adding volume to the areas around the middle of the face. In the coming months, more companies and surgeons will introduce freshly-targeted products to the cosmetic surgery landscape. Some of the products that are already making headlines include the Belotero line and Defyne and Refyne from Restylane. Due to these new discoveries, cosmetic surgeons will have an ever-expanding palette with which to recontour and rejuvenate the face without necessarily resorting to active surgery. The possibilities for platelet-rich plasma continue growing as cosmetic surgeons take it up for vaginal rejuvenation, lip enhancement, facial recontouring, and hair restoration. This procedure is expected to surge in popularity over the course of 2017. These injections contain platelets contained in blood, which are also rich in growth factors. Centrifugation experts separate platelets from other blood cells and increase their concentration before mixing it in the remaining blood to achieve desired results. Over and above everything else, 2017 looks to be an exciting year for cosmetic surgery. The trends discussed above (and others that are yet to emerge) will go a long way in shaping the industry, getting more people interested in new procedures, and improving final results. Atrial Fibrillation or also known as AFib or AF is a condition where an individual experiences irregular heartbeats. Based on a recent survey conducted, there are 2.7 million Americans who have this kind of condition. Patients may reveal that their hearts seem to bang against their chest walls especially when they are moving around to perform activities. Others may disclose that they feel no symptoms or signs at all. You will be able to know the common signs and symptoms associated with atrial fibrillation in this article. Read on to learn and share with your loved ones. This is also known as paroxysmal atrial fibrillation. The symptoms come and go. They may last for a few minutes to a couple of hours and stop suddenly. 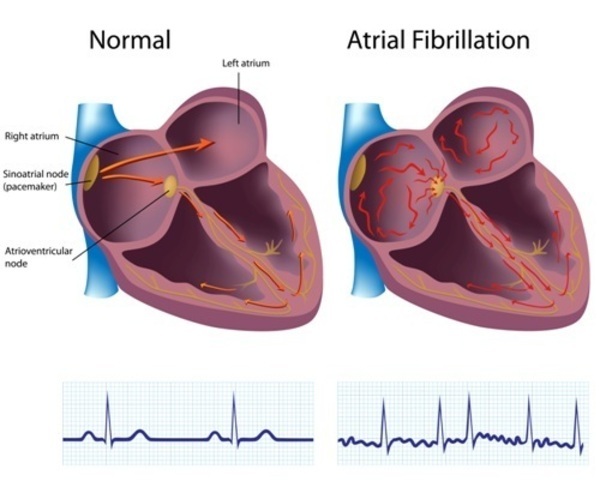 This type of atrial fibrillation means that your heart does not return to its normal rhythm. You have to get electrical shocks or medications to have your heart rhythm restored. This one lasts longer than the first two and may last for more than twelve (12) months. The abnormal heart rhythm is not possible to be restored any longer. The patient is given medications to control the heart rate. Individuals who have atrial fibrillation may experience palpitations or sensations of uncomfortable, irregular, racing-like, and flip-flopping heartbeats. They also may feel weakness and fatigue. Light-headedness and dizziness are also a common symptom. The patient may experience confusion as well. Shortness of breath and chest pain are also included. If you have any of the aforementioned atrial fibrillation symptoms, it is better if you see your doctor right away. The doctor will then instruct you to undergo electrocardiogram to see if the symptoms that you feel belong to the atrial fibrillation condition. What should alarm you most is when you experience chest pain as it may indicate that you are having a heart attack. Atrial fibrillation is an often and irregular heart rate that happens when the two chambers of your heart undergo mixed and chaotic electrical signals. The electrical connection between the atria and the ventricles are being bombarded with signals as they try to get through the ventricles. This then results to a wild and irregular heart rhythm. The heart rate in atrial fibrillation ranges from 100 to 175 beats per minute, wherein the normal range is 60 to 100 beats per minute. Other causes can be due to high blood pressure; heart attacks; coronary artery disease; abnormal heart valves; congenital heart defects; overactive thyroid gland; exposure to stimulants like medications, caffeine, tobacco or even alcohol; lung diseases, previous heart surgery; sleep apnea and stress due to pneumonia, viral infections or other illnesses. Atrial fibrillation may increase your risk of a stroke. It is advisable that you discuss it with your doctor since atrial fibrillation, if not controlled, can weaken the heart and worst, lead to heart failure. Studying at college is no easy experience, but for students who suffer with chronic pain or a condition that causes them to experience a lot of pain throughout the day, it can be even more difficult. However, with a huge range of alternative and potential plans that can be put in place to help students with special needs and requirements at college, there’s no reason to let chronic pain get in the way of your academic and educational goals. We’ve put together some top tips for students who want to succeed at college despite suffering from regular pain. Online education is becoming more and more popular, and the good news for students is that online degrees are today widely recognized by employers and are worth exactly the same as degrees obtained from a traditional, campus-based institution. Along with this, students who suffer with chronic pain can also benefit from reduced stress due to lower tuition fees for online programs, and with a wide range of options available from nursing degrees, marketing masters or an undergraduate public health degree online from The University of Arizona, you are likely to find an online program that suits you well. As a college student, pain management will be more important than ever before to help ensure that you get the most from your studies and avoid letting your grades suffer. Without good pain management techniques, your education could begin to slip and this could lead to stress and anxiety, negatively impacting your overall health and well-being. Before you enroll on a college MPH degree program, be sure to speak to your doctor and work with them to put together a personalized pain management plan for during your time at college. You should also meet regularly with your doctor for reviews throughout your studies. Colleges do their best to help their students succeed, therefore students who do have special needs and requirements are usually offered extra support and personalized plans in order to help ensure that they can reach their full potential. Alert your college to your condition as soon as possible so they will be able to put any plans in place quickly and will be aware of your mitigating circumstances for the future. You may also be able to get extensions on assignment deadlines or special support in exams if needed. If you suffer from chronic pain, then it’s even more important to look after yourself when you are studying for a college degree. Obtaining a college degree will take a lot of hard work and dedication, so it’s important to ensure that you know your limits. Don’t overdo things, as this could lead to your condition worsening, which could leave you unable to work for a while. Sticking to a carefully drawn up study timetable can help you make sure that you don’t push yourself to hard and can aid in good pain management. Share your top tips for managing college with chronic pain in the comments! If you have ever had to live with chronic pain, then you will know that one of the only ways to get proper pain relief is through prescribed medication, generally of a strong level. When you are feeling extreme, constant pain it is easy to depend on painkillers as your main source of pain relief, but this can become a bigger problem. Statistics show that the number of accidental overdoses in recent years has increased year-on-year and this is a very worrying pattern. The data covers all forms of overdose, from illegal substance abuse to taking too many painkillers by mistake. One of the reasons that people can accidentally overdose is because when people first start taking the medication, the impact on pain relief is very high. Over time and continual use, your body becomes tolerant to the drug, and you won’t feel the same pain relief due to this. This can tempt people to take more of the drugs and often significantly more than they have been prescribed in an effort to reduce their pain. As well as the risk of overdose, becoming dependent on painkillers has a number of other problems associated with it. Becoming addicted to painkillers is a growing concern and there are an alarming number of people that this has happened to. Side effects can include sickness and diarrhea, but can also lead to increased chances of heart attack. Short-term effects show that the body can be less aware of surroundings and are advised not to drive or operate machinery on certain types of painkillers. If you’re in the unfortunate population of people that suffer from chronic pain then you should be getting help and advice from your doctor regarding other alternatives to taking painkillers. Exercise is one of the main recommendations for pain management. If you are referred to a physiotherapist, they will be able to draw up an exercise routine for you to complete that will be specific to the type and frequency of pain that you suffer from. Advisable exercises include swimming, walking, or cycling on an exercise bike, as these are moderate exercises with minimum amounts of weight bearing. By performing regular exercise, you can build up muscles around the body that will be able to support your joints more effectively and help relieve some of the pain. In addition to exercise, you may be advised to try treatments such as acupuncture. This is particularly recommended if you have back and neck problems, and sometimes physiotherapists will massage or manipulate your back to try and reduce the level of pain. The use of heat therapy can provide quick relief to areas of pain, so either a hot bath or a heat pack applied to the affected area tends to work well. If your chronic pain is related to your joints, then you can also try fish oil supplements such as Omega-3, which as well as relieving your joints, are said to have several other benefits to the body.